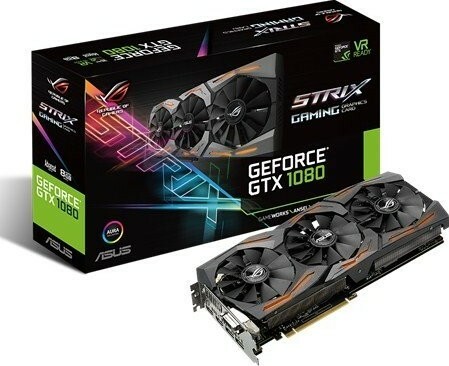 The ROG Strix GeForce GTX 1080 graphics card is packed with exclusive ASUS technologies, including DirectCU III with Patented Wing-Blade 0dB Fans for 30% cooler and 3X quieter performance, and industry-exclusive Auto-Extreme Technology for premium quality and the best reliability. 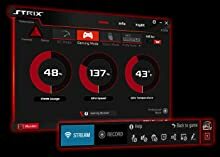 Aura RGB Lighting enables greater customization flexibility and VR-friendly HDMI ports let you easily enjoy immersive virtual reality experiences. 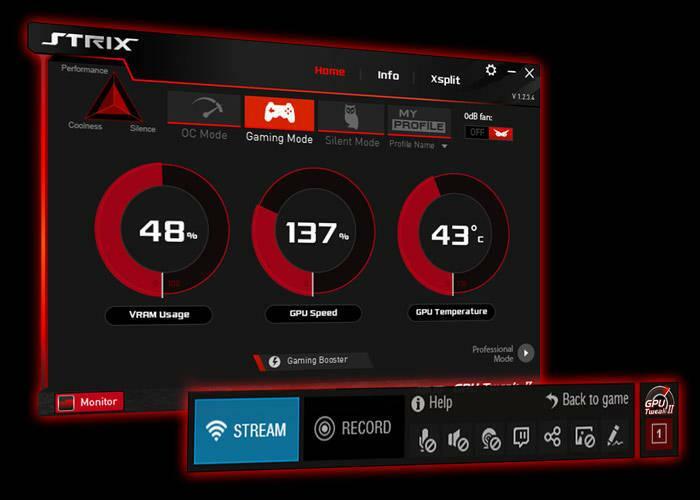 ROG Strix GeForce GTX 1080 also has GPU Tweak II with XSplit Gamecaster that provide intuitive performance tweaking and instant gameplay streaming. - 1733 MHz Boost Clock with Super Alloy Power II Delivery. - Aura RGB Lighting on both shroud and backplate. 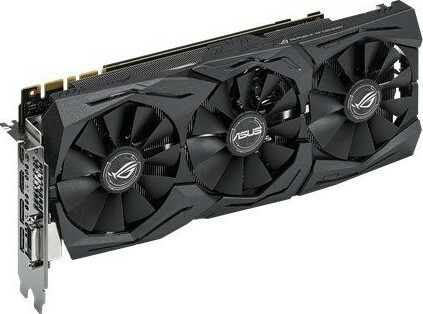 - New ASUS FanConnect provides dual 4-pin GPU-controlled PWM fan headers. - DirectCU III with 0dB fan technology and patented wing-blade fans. - 4K and VR Ready with dual HDMI 2.0 ports to simultaneously connect headset and monitor. 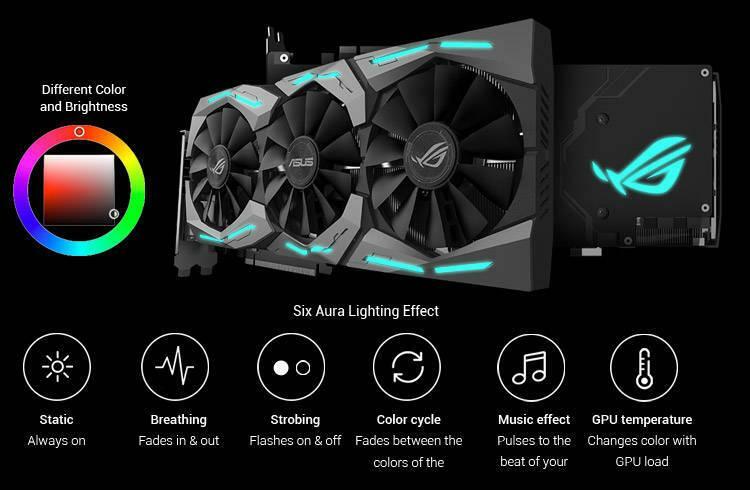 Featuring Aura RGB Lighting on both the shroud and backplate, ROG Strix graphics cards are capable of displaying millions of colors and up to six different effects for the perfect light show. 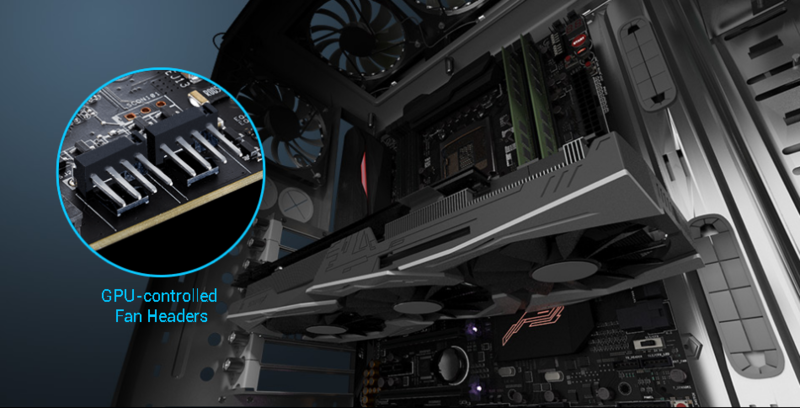 Allowing for targeted supplemental cooling, ASUS FanConnect provides dual 4-pin PWM GPU-controlled headers. 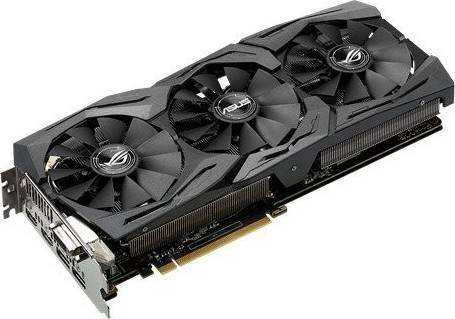 Exclusive DirectCU III cooling technology features a trio of 0dB fans and direct-GPU contact heat-pipes that transport more heat away from the GPU and outperforms reference designs, achieving up to 30% cooler and 3X quieter operation. 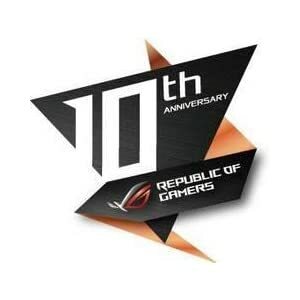 The ASUS exclusive Auto Extreme component assembly process removes the variables of a human production line and replaces it with the precision of a fully automated assembly system. 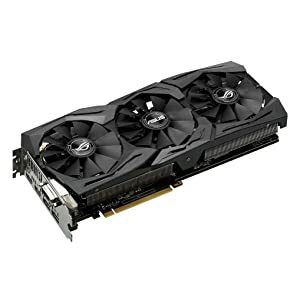 The resulting graphics cards are more reliable than hand built alternatives. 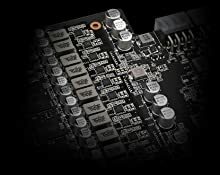 - Increases component reliability, as well as longevity from the get-go of manufacturing. - No harsh chemicals and 50% less power usage. We offer express delivery to Dubai, Abu Dhabi, Al Ain, Sharjah, Ajman, Ras Al Khaimah, Fujairah, Umm Al Quwain, UAE for ASUS GeForce GTX 1080 8GB ROG STRIX Graphics Card (STRIX-GTX1080-A8G-GAMING) | 90YV09M2-M0NM00. 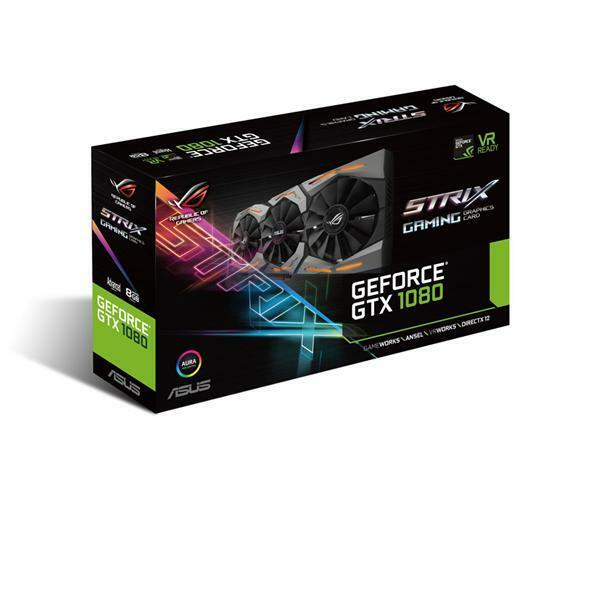 We offer the best price for ASUS GeForce GTX 1080 8GB ROG STRIX Graphics Card (STRIX-GTX1080-A8G-GAMING) | 90YV09M2-M0NM00 in Dubai, UAE. Buy now with the best price!